Relive the glamorous days of travel with this nostalgic duo. The Weekend Bag is the ideal size for a quick get-away featuring an elasticized pocket inside and slip pocket on the back. Choose to make a short handle, shoulder strap, or both! Stitch up the matching Cosmetic Case to hold all your necessary (and not-so-necessary) items. Not going anywhere? 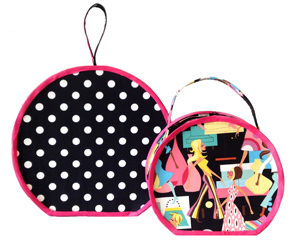 These bags are a fun way to store just about anything in style! Now available for purchase here or for wholesale inquires through The Pattern Peddlers and me. ← Sweets for your sweeties! 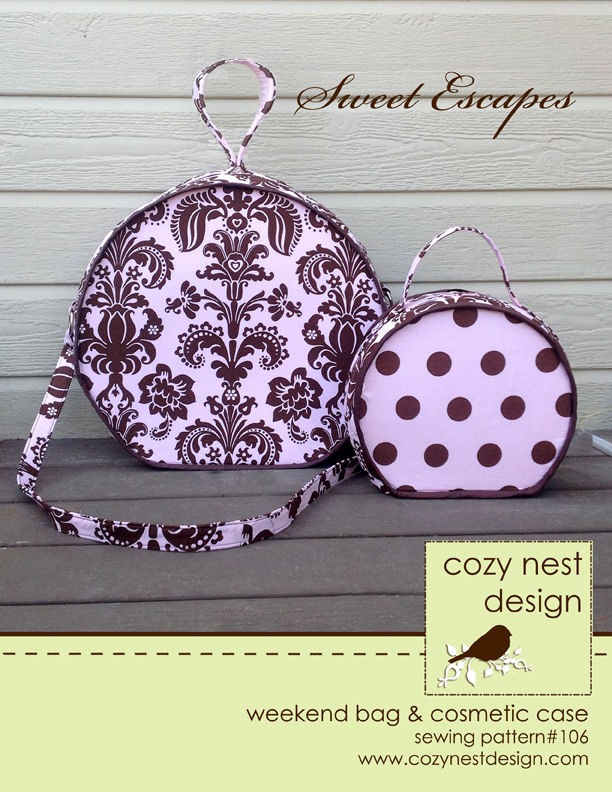 New pattern release! 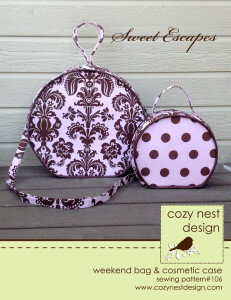 Cozy Nest is on vacation from April 16-26! Digital patterns are still available instantly upon purchase. Printed patterns and seat belt kits purchased during this time will be shipped on April 27th.